Hello to all. Could anyone give me any last mintue tips on passing the cpc the 1st time. I am scheduled to take my exam on 08/21 and would like to hear any last mintue tips to successful pass the exam....please help. Do not panic. Do not waste time on difficult ones which means you need to finish the simple ones first and as quick as possible. CPC exam is all about time management, try to attend the sections in which your good and try to save as much as time in these sections, in case if your running short of time then mark any one option (eg, A,A,A,A) rather than going radomly which will not fetch you any marks, and keep cool and have many mock exams before you go for a real one. panic. Thats when you stop second quessing yourself and go with your first instinct or you will never finish. You really need to know your manuels and where things are. 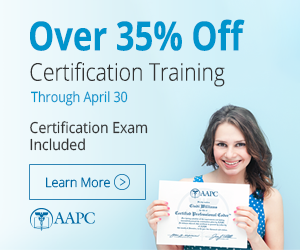 I had several example test that I purchased and took the practice exams on AAPC's and felt that the test was a lot harder so make sure you use those. And I took a small ruler to underline important points as I read the questions, that seem to help. I will also tell you that I had an old 2006 HCPCs book and some questions had newer codes, so if possible try to have the 2010 version. Good luck! Go to the end of the test first! There's like 5 or ten questions that ask, what does HIPAA stand for and some easy questions like that. Then do what you know first! If you're really stuck on one question...move on!! go back to it if you have time. worse case scenario, you just fill it in later with anything. Dont leave any thing blank! if you 20 questions remaining and 3 mins left, just fill anything in at that point, who knows you may get em right! !